OGrady Quinlan is committed to providing a safe and supportive community that fosters a lifelong love for Irish Dance. In order to guarantee that all of our dancers are able to best pursue their passion, we have implemented a comprehensive anti-bullying policy applicable to our students, dance families, staff, and employees. We define bullying as any behavior; physical, verbal, written (either electronically or in person), that detrimentally targets another dancer. This behavior is described as bullying if it physically or emotionally harms a dancer, targets a dancer for any actual or perceived characteristic, or creates a hostile environment in the dance studio. We understand that the under reporting of bullying is the biggest hindrance to stopping further harassment. We have developed a form that can be filled out by students or parents to file in the case of bullying and mailed directly to a dedicated separate email account. This information will be sent directly to the Operations team, who are in charge of the implementation and studio wide compliance to the anti-bullying policy. A member of the Operations team will then contact the alleged bullying party, the alleged victim, teachers, assistants, and parents who may have possibly witnessed the event. If he/she finds evidence that corroborates the report, this will serve as the basis for scheduling a course of action meeting. OGQ’s directors, Colleen Schroeder and Maureen O’Grady, will be made aware of any bullying incidents. 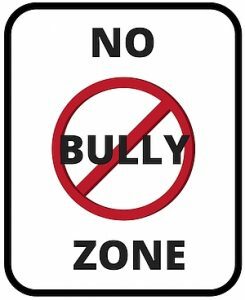 Any staff member including educators, associates, and administrative personnel are required to intervene if they are made aware of the possibility that bullying is occurring including but not limited to witnessing bullying. All personnel are required to intervene by filing the report directly. If a parent is the one making the studio aware of the bullying event, the parent is required to take on the primary responsibility of filing a report. OGQ will not tolerate bullying in any form: physical, emotional, social or otherwise. As such, we have implemented a Zero Tolerance Bullying Policy. Since our goal is to empower people and embrace individuality, one documented bullying event will have repercussions -which may include immediate termination of enrollment for egregious violations. Please note, as per the policy above, OGQ recognizes that bullying does not just occur between students. If a parent or guardian has witnessed bullying or harassing another student, parent, or OGQ staff member, there will be repercussions. Any penalties above are to be made without any refund for classes missed, competitions or costumes. At OGQ, respect and compassion are two of our core values. All dancers are entitled to learn and develop their art in a positive, respectful environment. We realize that every situation reported through this form may require a unique follow-up – each case maybe handled differently.